Manchester City turns down Bayern Munich’s offer of €20 Million for the transfer of Edin Dzeko. Borussia Dortmund, Anzhi, Zenit St. Petersburg, Juventus and Milan are also rumored to be interested in the Bosnian striker. Tottenham will have to raise their offer for the transfer of French goal keeper Hugo Lloris to €15 Million if they are seriously interested in him joining their ranks. 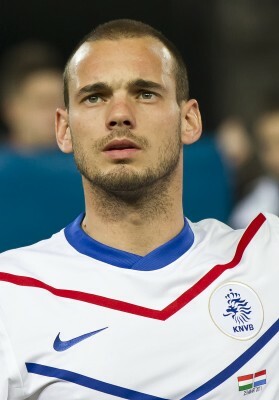 Wesley Sneijder to receive a whopping €15 Million salary? After failing to sign the player up in January, Millan renews their interest in Manchester City’s striker Carlos Tevez. Westham FC is hoping Kevin Nolan will be able to persuade his close friend Andy Carroll to switch to Upton Park on a loan. Pescara’s 19 years old midfielder Marco Verratti is very close to signing a 4 year contract with P.S.G, for which the team will pay €14 Million. “The Sun” reports Liverpool will offer £7 Million for skilled South Korean Celtic midfielder Ki Sung Yong. Liverpool’s defensive midfielder Jonjo Shelvey renewed his contract with the team until 2017. Manuel Velasquez, Venezuela’s National team defender signed a contract for one season in Panathinaikos.